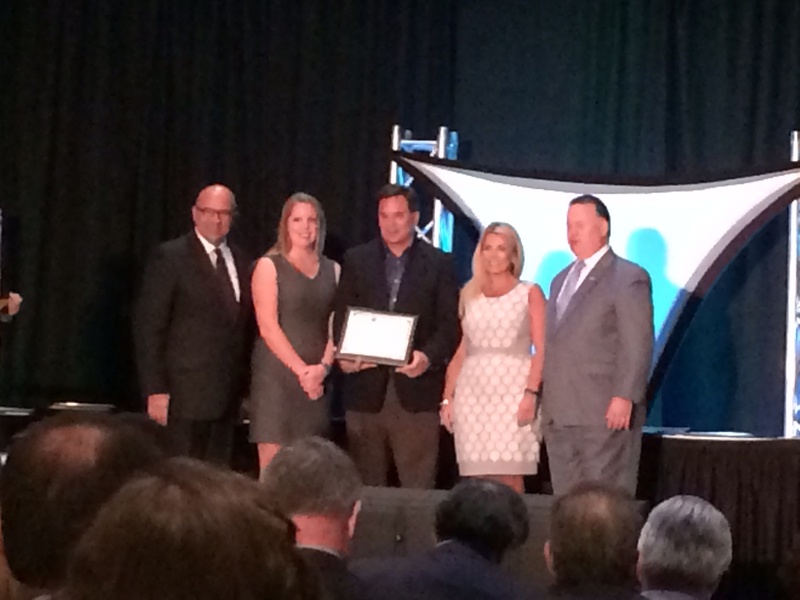 The City of Jeffersonville received a Bronze Excellence in Economic Development Award for its 2014 project in the category of Neighborhood Development for communities with populations of 25,000 – 200,000 from the International Economic Development Council (IEDC). The honor was presented at an awards ceremony on Monday, October 20, during the IEDC Annual Conference, which was held October 19-22, in Fort Worth, Texas. “The Big Four Bridge project is keeping Jeffersonville’s economic development a trending headline. I am thrilled that our city continues to win awards that showcase what a great place Jeffersonville is to live, work and play,” said Mayor Mike Moore. “Now we have a trifecta of awards that includes the Primacy of Place award from Ball State University; the 2014 Indiana Association of Cities and Towns (IACT) Community Achievement Award and the IEDC Award. We’ve got momentum on our side and more progress is on our horizon,” Moore continued. Director of Neighborhood and Business Development, City of Jeffersonville; followed by Rob Waiz, Economic and Redevelopment Director, City of Jeffersonville; followed by DeLynn Draper-Rutherford, Grant Administrator, City of Jeffersonville.